How do I create a new material/trim/component in YuniquePLM? 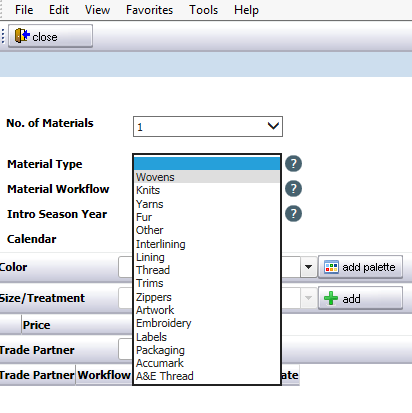 Click on the Material icon on the header. 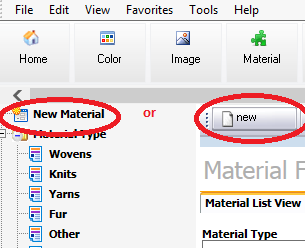 In the left navigation, click on New Material. Fill out all the appropriate fields that apply to this particular record. 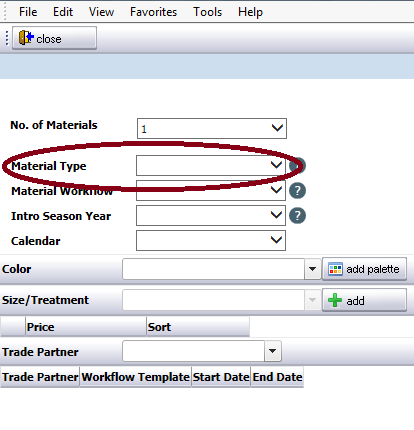 After the primary information is entered, click Save at the top. This will open a new window and allow even more information to be entered if needed. You can work down the left navigation to enter various related information as needed or required. If more information added, then click Save again.